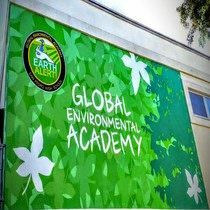 Global Environmental Academy Student Council is in charge of organizing the event with the guidance of the Lead Teacher Ms. Franco. Students divide themselves into committees to plan the many events in the Academy. Our academy has about 500 students. We organize internship programs, monthly meetings with local industries and our students called “Industry Coaching” which culminate in a job shadowing day. Peer counseling, fund raising for scholarships. Victory Garden that provides organic food for different classes. We have created special classes for our Global students, some of them are AP Human Geography, Recycle art class called Design Craft, Zoology, and Environmental Biology. 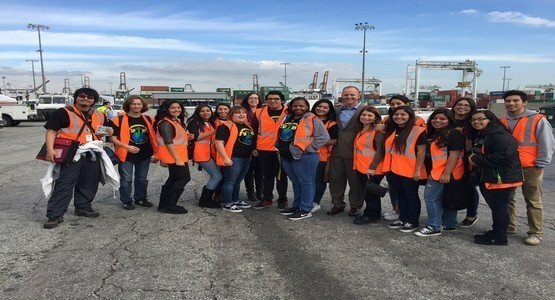 Please support San Pedro High School Global Academy by scheduling a pickup for your business! All you need are 20 or more computers, laptops, monitors, TV’s, or cell phones and All Green will pick up the items from your location for free!